It’s an intriguing place name with ties to Greek myth. Thanks to Leith for suggesting her own name as our Baby Name of the Day. There are two possible origins for Leith. First, it’s a place name from Scotland. Do you remember The Proclaimers’ smash hit “500 miles” from the 1990s? It was used in the movie Benny & Joon. Their album was called Sunshine on Leith. Leith is the band’s hometown, just a stone’s throw from Edinburgh. The town takes its name from the river Leith, and the river comes from a Celtic word meaning water, wet, or damp. Leith is considered Edinburgh’s port, with the river flowing into the port, and from the port to the North Sea. There’s tremendous history in Leith. The Scottish court had a palace on Water Street when Mary of Guise was regent during the sixteenth century. Mary of Guise ruled for daughter Mary, Queen of Scots, who was in France. Meanwhile, French troops set up camp in Leith for a dozen years. 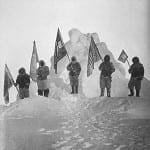 The whole chapter ended in 1560 when English troops came to town. There’s much more to the story, but for our purposes, let’s just say that a lot has happened in Leith. It’s a surname as a result of the place name, and the Leith Baronetcy has been created more than once, though it is presently extinct. Lethe is one of the five rivers of the Greek underworld, Hades. It’s sometimes called the river of forgetfulness. 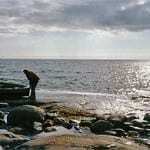 The legend goes that drinking the water of the river Lethe causes you to forget everything, and the word itself means oblivion. When the newly deceased arrived, they drank from the river Lethe to forget their mortal existence. While that’s rather bleak, it’s worth noting that Lethe was also the personification of oblivion in some writings. It gives her some weight as a given name, even if she was the sibling of equally un-inspiring deities like Limos – starvation, Atë – ruin, and the Neikea – the spirits of quarrels. If we can name children Mallory, should we really fret about a name that conjures up a poetic kind of forgetting? Spellings vary for both Lethe and Leith. Even though they’re both river names, there’s no evidence that they’re related. Plus, the two sources are pronounced differently. The Scottish town is a single syllable: leeth. The mythological river is lee THEE. 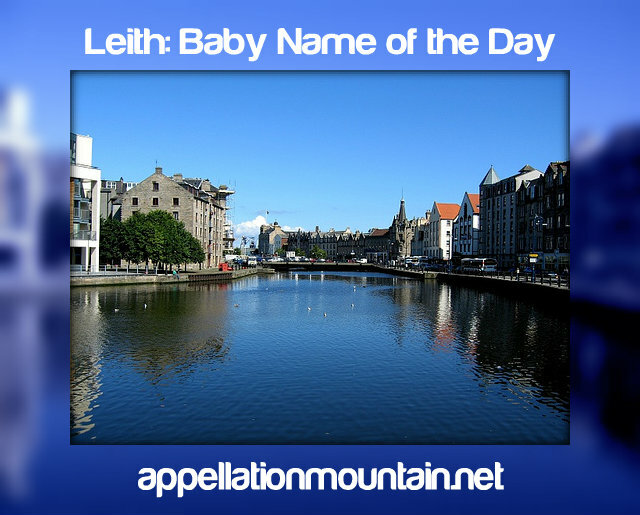 A very few people have worn the name, usually spelled (and pronounced) Leith. The most notable bearer of the name was probably Leith Stevens, a mid-20th century composer of scores for radio and film. He worked on tons of television shows, including The Brady Bunch, so it is likely that you’ve heard his work. But how does this wear as a name? It isn’t far from Lee, Leigh, and Leah. Leith rhymes with Keith, and the -th ending reminds me of Blythe. You might argue that Lethe fits in with Zoe, Chloe, and Penelope. 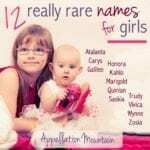 There are also a handful of rare names that could be taken as feminine forms – Leitha, Letha, and Lethia. Leitha is the name of yet a third river, winding through Austria and Hungary, and completely unrelated to the origins of Lethe or Leith. Letha sounds like Lisa pronounced with a lisp, or maybe like the word lethal – which explains why Marvel Comics used the name for a villain. Overall, Leith is a rarity that’s likely to remain that way. But it could make for an intriguing Scottish heritage choice, or a poetic and strong middle name possibility. I have been looking for the meaning of Leith as it is my first name. (Leith Eugene). It was taken from my grandfather who was Leith Farnsworth. (I have not included the surname for either of us) He has a great uncle who was named Leith. That is as far back as I have been able to trace it. I am not sure if there is Scottish heritage or not. How exciting. … to have 2 names that are rare. I have the middle name Leith as do the first born of each generation, male or female. Alas, I am the only surviving one in my Family. A minister in my old town is named Leith and since he pronounces it like LAYTH, I just assumed it was variant of Leif. Interesting! There was a set of quintuplets born in the Lansing area of Michigan in the 1990s that contained a Leith (and I believe he was a Leith Jr.). The set all had first names starting with the letter L, and each had a different vowel as the second letter. If memory serves, they were Laura, Leith, Lindsay, Logan, and Lucas. Just found an article. Born in 1998. I was close on the names. Lauren, Leith IV, Lindsey, Logan, and Lucas. Fascinating! 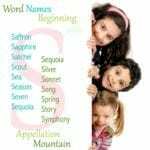 For five L names, they’re surprising distinctive, aren’t they?